﻿ Mykonos View Hotel Mykonos. JIMAT di Agoda.com! 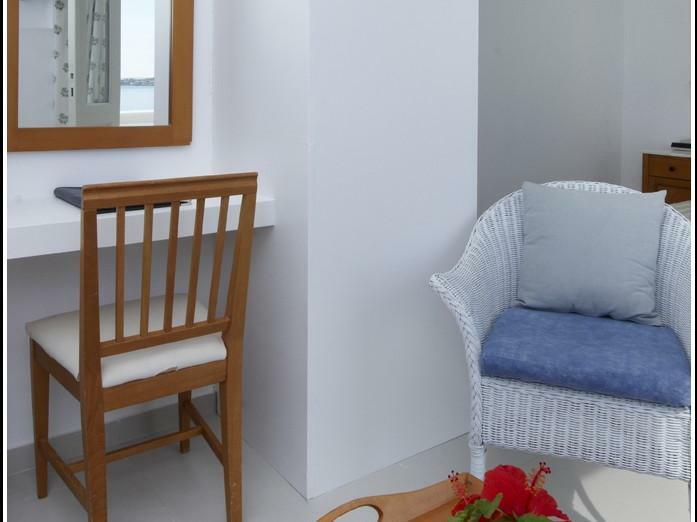 Ada soalan mengenai Mykonos View Hotel? Terletak di Bandar Mykonos, Mykonos View Hotel merupakan tempat menarik untuk memulakan pengalaman di Mykonos dan kawasan sekitarnya. Hanya 0.35 km dari pusat bandar, lokasi strategik hotel memastikan tetamu boleh ke mana-mana sahaja dengan cepat dan mudah ke tempat-tempat tarikan. Juga terletak berdekatan adalah Minima Gallery, Evelin Gallery, Muzium Maritim Aegean. Di Mykonos View Hotel, perkhidmatan yang cemerlang dan kemudahan yang unggul menjadikan penginapan anda tidak dapat dilupakan. Tetamu hotel boleh menikmati kemudahan seperti Wi-Fi percuma semua bilik, pengemasan harian, khidmat teksi, meja depan 24 jam, simpanan bagasi. Masuklah ke salah satu dari 38 bilik tetamu kami dan tenangkan hati anda dengan pelbagai kemudahan seperti televisyen skrin rata, internet wayarles (percuma), penyaman udara, pemanas, panggilan kejut yang boleh didapati di beberapa bilik terpilih. Kemudahan rekreasi hotel, yang termasuk seperti kolam renang terbuka, menyelam, menunggang kuda direka untuk anda melarikan diri dari masalah dan bersantai. Mykonos View Hotel merupakan pilihan yang bijak bagi pelancong ke Mykonos, menawarkan penginapan yang santai dan mudah setiap kali. Nice view and environment. Near the old port. The restaurant is good: Breakfast or Dinner menu. Must try! 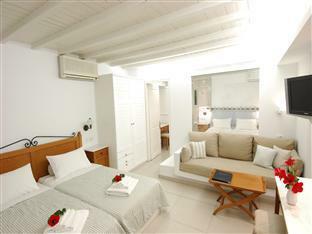 Mykonos View was a perfect hotel, in the most ideal location. The rooms are a bit tiny, especially the bathrooms, but the service, the food, the pool and the view more than make up for it. The front desk was extremely helpful in providing activities to do, and tips and tricks. The restaurant was really good, and we actually ended up eating dinner there 2 out of the 3 nights. The waitress is phenomenal and full of energy and life. On our first evening, I wanted the mushroom risotto, and the kitchen ran out. She said don't worry, I'll save you a seat for tomorrow evening with the best view of the sunset, and save an order of risotto for you. Next day, perfect table and a bowl of risotto exactly as promised. The pool bartender is also great, and the view from the pool was awesome. At the end of the day, I would definitely recommend staying here. We loved our little studio on top of the hill. It had the best views of the Sea side, watching ferries come in in the morning. The bar/restaurant also had great food and the breakfast was delicious. We stayed over the shoulder season, so the town wasn't too crowded, which was perfect for us. Only wished it was warmer so we could have enjoyed the pool as well. Super friendly and helpful staff, from the front desk, to the bars, to housekeeping. 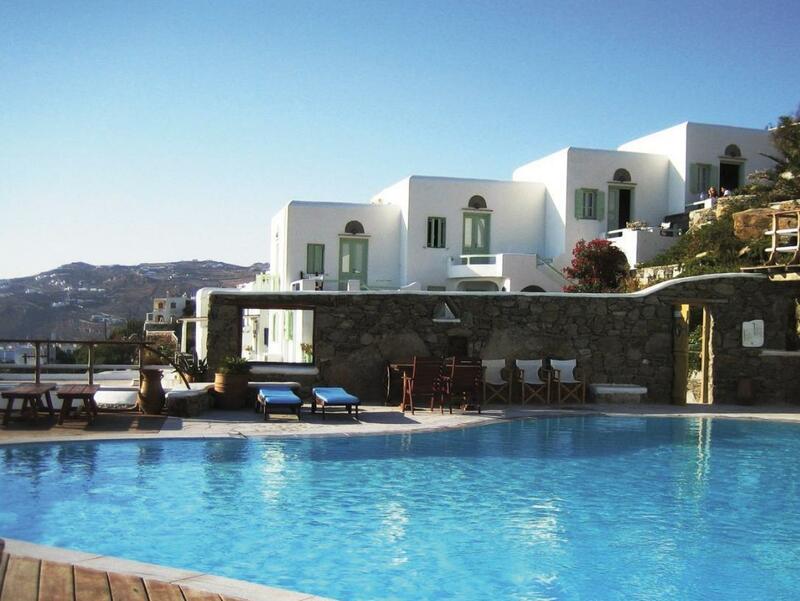 If you are bent on staying in Mykonos town and want a view and a terrace but don't want to take out a second mortgage on your home, Mykonos View is perfect. The breakfast buffet runs an amazing four hours from 8-noon, with seamless window views of the ocean and port as well, and is well worth it in the large scheme of things, considering that, outside of gyros and souvlaki pitas, Mykonos town itself is quite expensive, foodwise. I took much advantage of the value of the breakfasts, hung out and read a book or used my laptop, and nibbled until I was ready to go out for the day. One block up from the end of the Old Port, a four minute walk to to the bus station area. It is up the small hill half a block from the taxi square. Less than ten minutes' walk if you're going to catch the SeaBus or the Delos Ferry. Also, the rooftop and pool are a huge plus if you can catch warm sunny weather at the end of September/beginning of November. I had Room 23 - not one of the recently "renovated" rooms, but I found it very bright, cheery and private while boasting a great sea view, obstructed only a small bit by the top of another room on the level below, but considering the significant differences in price between having either no view and the more expensive price of the renovated rooms. The ensuite bathroom is small, but has a window and full bathtub, and there is a twin sized day bed along with the full size four poster bed. (A real full size bed, not two twins latched together!). Perfect for a couple or - two very good friends who plan on going out a bit. Hotel staff were great, great facilities, location with view was perfect for sunsets ... only a minor walk to Mykonos town ... certainly has my recommendation. excellent, although shower very small! The hotel has a great view over the old port. The swimming pool is big enough. The room is comfortable, with country style. We enjoyed our stay in Mykonos View Hotel very much. I like the balcony where I can empety my brain by enjoying the sea view. My daughter likes the swimming pool. The hotel is well located. We walked to the center in 5 minutes on foot. The old port is right in front of it. But one has to be careful to check your port. We arrived in Mykonos at the old port, and departed at the new port. We barely caught the departing ship thank to the delay of the ship. There is public bus from old port to new port. It takes about five minutes drive. Great View out of the room. Good things: 1. High up on the hill, thus offers great view. Nice sunset! 2. Helpful and friendly staffs. 3. Not-so-good things: 1. High up on the hill, so you gotta walk up the hill! Unless you rent an ATV/car. 2. Breakfast choices are limited. Excellent view from room balcony. The room was clean and spacious. Excellent customer service and quite good buffet breakfast. Near to town centre. It has good swimming pool. Value for money and will stay again in future. It has wifi too. The room is nice with great great view, great location just few minutes from town and the staff are super nice and helpful! We have a great stay and Will definitely visit again!! It was an unforgettable stay in this hotel. I loved the swimming pool very much! The room was tidy and clean. The breakfast was full of variety. The only adverse comment was the poor attitude of the staff serving the breakfast . Apart from her, I gave full marks for the hotel ! It was valued for money. 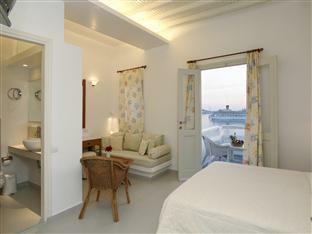 We had a plesent stay at the Mykonos View Hotel. We loved our stay at the hotel where else could you wake up, throw open the door and be greeted by the passenger ship that had sailed in overnight. We spent many a moment just watching the activity on the sea. We loved the fact that the hotel was within walking distance to the main shopping and eating part of town, although it was heavy going walking back up the hill and up the many stairs in the heat of the day. The staff were extremely helpful and nothing was a problem to them.